A tested, step-by-step system that shows you exactly how to find and close deals with Chinese investors. It shows you specifically what to do every step of the way, right down to how to write listings that are attractive to Chinese, tools you can use to overcome the language barrier, how to get maximum real estate exposure for your listings in China and getting referrals. A dangerous trend is affecting real estate brokers all over the world….look down at your feet because you are at the epicenter of a global shift. You are at the forefront of a global revolution in real estate. Markets are being disrupted by a flood of Chinese cash in Australia, New Zealand, Singapore, Malaysia, Thailand, The Philippines, Spain, Portugal, Cyprus, the UK, Italy, France, the US, Canada and Detroit… what Detroit?!? But most brokers have not been invited to the party and are forced to watch the game from the sidelines… what?!? Why are Chinese buying abroad and why should you care? So great ! right? Easy. But why are few realtors saying things like….. If there is massive demand, piles of cash, buyers galore, why aren’t we seeing more success stories amongst regular realtors? What stops otherwise successful brokers from reaching out to Chinese? Don’t I need to speak Chinese to sell to Chinese? hint.. no. lol But seriously, why don’t you yourself have a clientele of Chinese buyers? If you are still reading I guess you are independent: thinking of trends for the future and looking for high-impact strategies that will set you up for success in the decades ahead. You know that the world is changing at an unprecedented rate: That we stand at a crossroads. And you are ready to do whatever it takes to succeed..
You might feel at a loss of where to start….or even if you should bother. Or maybe you think it will happen naturally. Buyers will appear and you will sell properties just like you always do. But that has not been our experience. Brokers without deep understanding and preparation simply never get off the ground. Chinese buyers simply are different. And you need to know those differences in general but you also need to know how they see your specific area. Which listings are attractive? Why? What type of story or history of your area will catch their attention? To outsiders, it’s like a secret, nearly-unsolvable puzzle. But this puzzle is solved, step-by-step, in The China Cash Buyers Course. This is not a general “foreign investor” course full of the legalities of this and that. This is a practical course with hundreds of simple tips, tactics and strategies you can implement immediately and built on my and my team’s decades of experience selling real estate to Chinese people both inside and outside of China. Here in Shanghai I see flocks of well-meaning agents traveling to China: showing their listings at trade shows in hopes of landing those big money sales they’ve been reading about back home. But they go home empty handed… Yes, most of these agents will never succeed in the Chinese market. WHY NOT? How can we take previously unsuccessful agents and turn them into sales machines? In the Art of War, Sun Tzu said, “know your enemy and know yourself”. The more you know about your clients, the better off you are. Every aspect including mindsets about real estate, about your country and about YOU! You will literally be reading their mind…and it will come in handy. Key to being able to present to Chinese buyers. Their world is very different and naturally their perspective and expectations differ. You will be able to present in a way that blows Chinese buyers away! Exactly what they need. 4. Put Out a Welcome Mat. Understand the Chinese market, how it’s different and how you need to adapt. Know what Chinese buyers are accustomed to. What Chinese buyer’s value. Assumptions you are making that could be costing you dearly. 5. Small Talk. How to communicate and develop relationships even if the client has little English ability. Building Rapport with your Chinese clients. Business etiquette, dinners and social events. Save time and money by qualifying and understanding your buyer. How to ask key questions without being offensive. Understanding your buyers true underlying needs. Red flags which the can help you manage your time. Remember the part about 1.4 billion people? You will learn how to network and turn one buyers into many. Loyal friends and family who will treat you well. Use your newly discovered focus on the wealthy Chinese niche to your advantage. Get the best exclusive listings! Why not? You will have the best clients…who pay cash. Forget the phone when dealing with Mainland Chinese buyers! How to use social media and online tools to cement a relationship between you and a Chinese client. Never have a client “disappear” again. Develop deeper trust, understanding and communication with your Chinese clients. I’ll teach you all you need to know in this simple, short module. You don’t need special skills to adapt Chinese social media communication tools. 10. Use Your Website to Get Leads. Use your understanding of the market, buyer’s needs and mindset to create online content that draws buyers to you. Square meters and other MLS data means nothing to a Chinese immigrating to a new country. In this module, you’ll learn how to write what the clients want to hear. And what will influence them to close the deal. 99% of agents are missing the simple stories that you will write naturally after studying this module. 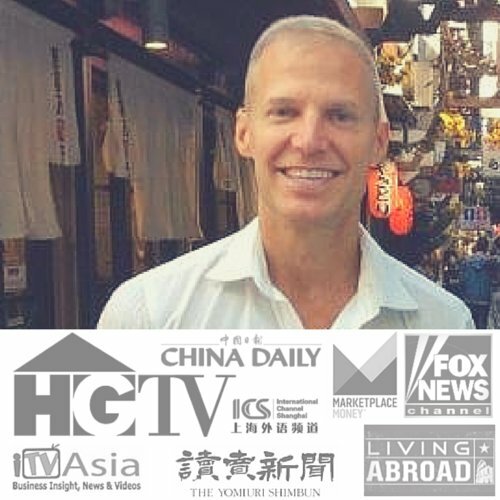 11 – BONUS $299 VALUE Doing a Real Estate Event in China. How to plan your first sales event in China. (BONUS MODULE). Mindsets in planning a seminar. Secrets in running a seminar in China. Hiring “translators” and sales staff. Taking care of yourself and staff. How to pick the date right..and avoid overlapping Chinese holidays. How to budget a seminar in China. How to get massive foot traffic to see your properties.